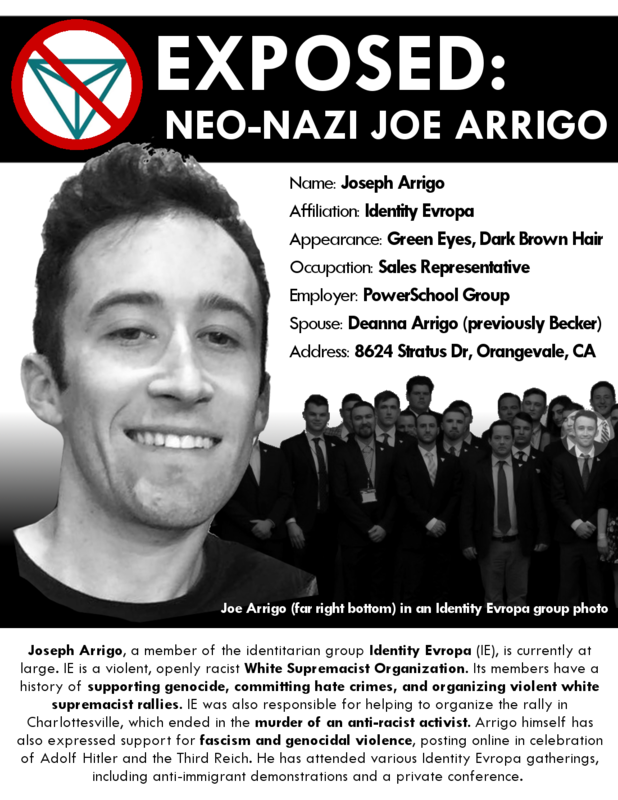 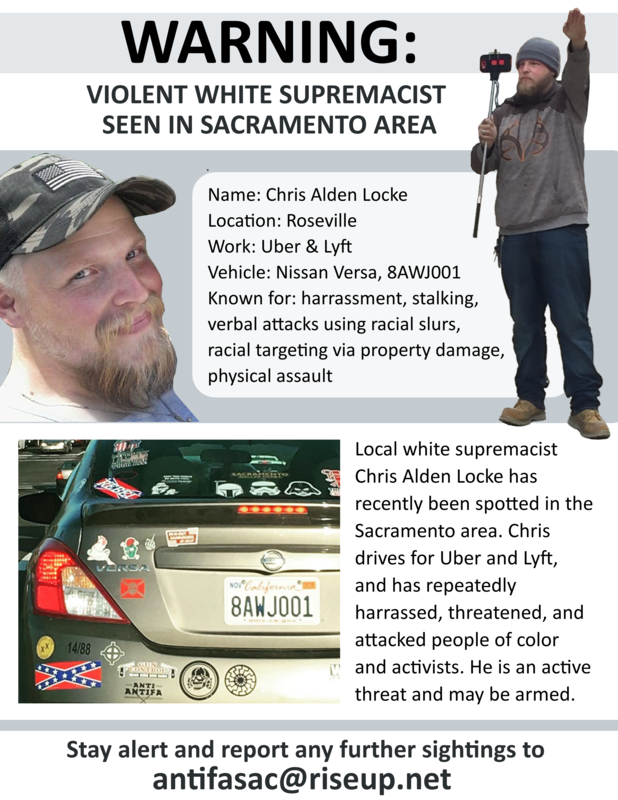 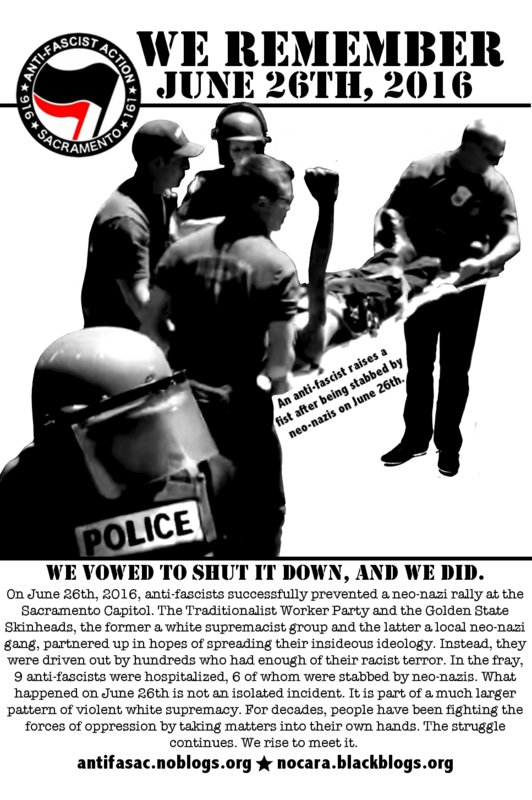 Print out our flyers to pass out, put up on public bulletin boards, or leave in sympathetic businesses and venues. 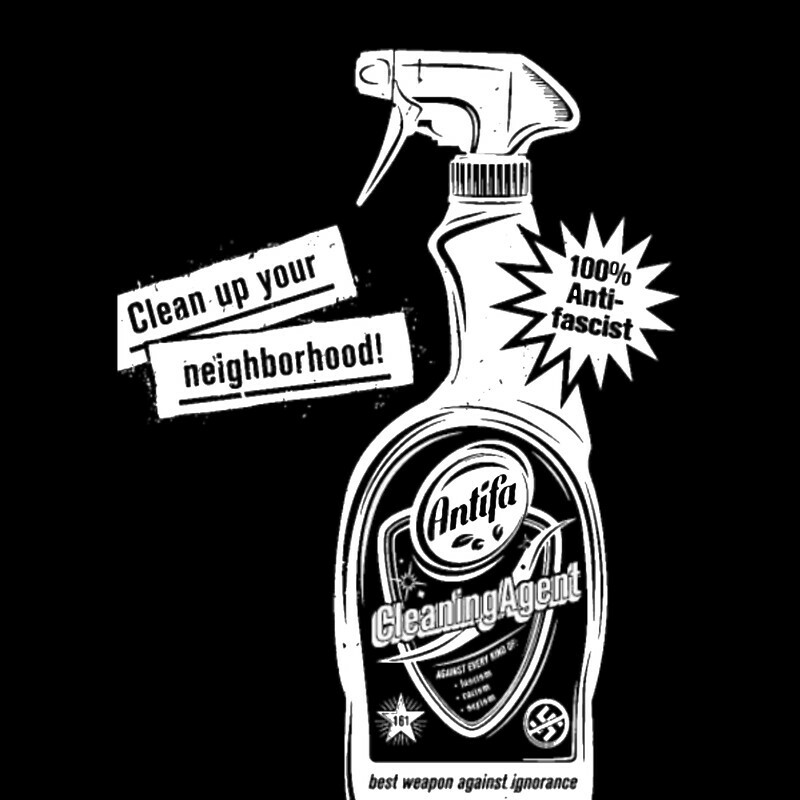 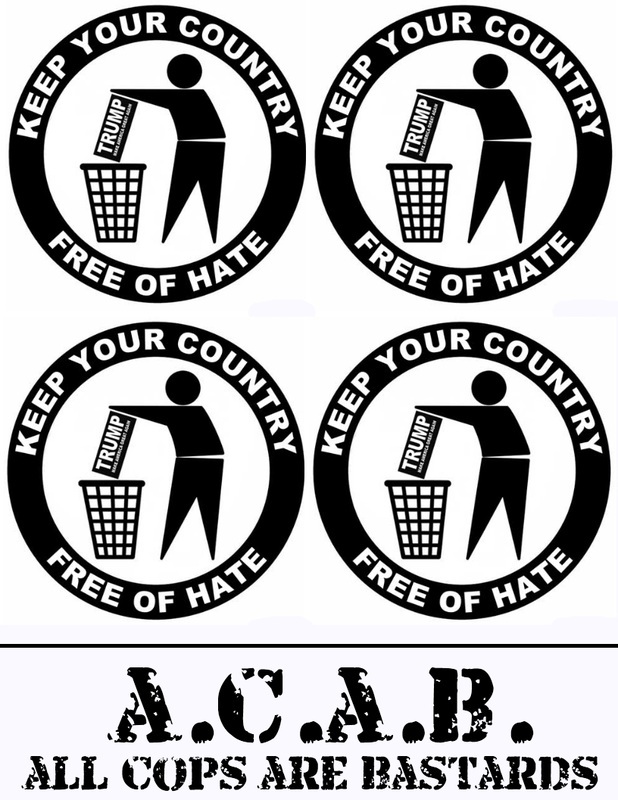 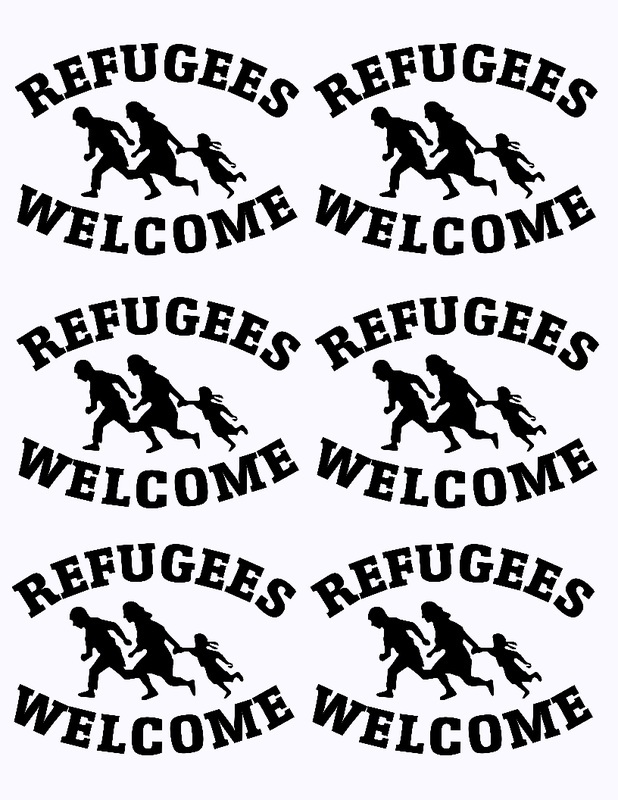 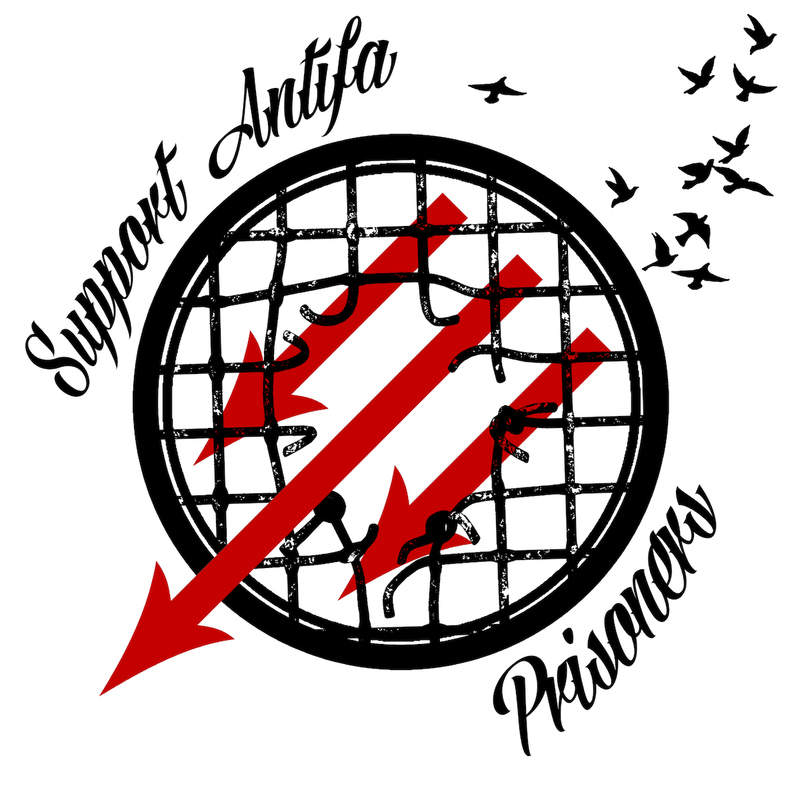 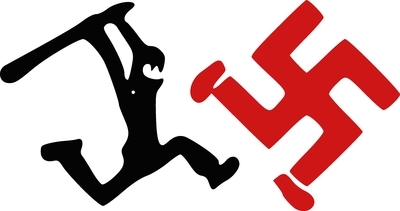 Create your own stickers with our designs and put them up in busy areas or restrooms, or use them to cover fascist propaganda. 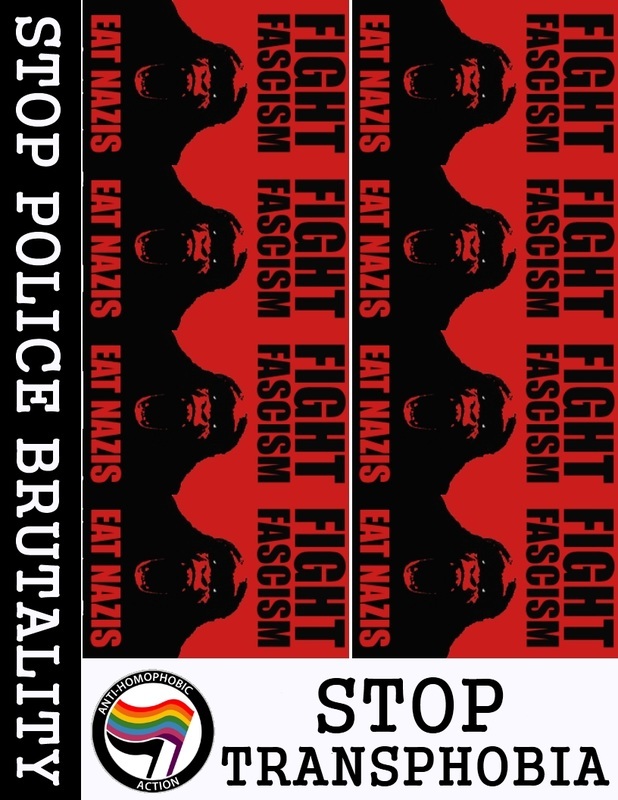 Print out our posters and put them up in the streets with tape or wheat paste. 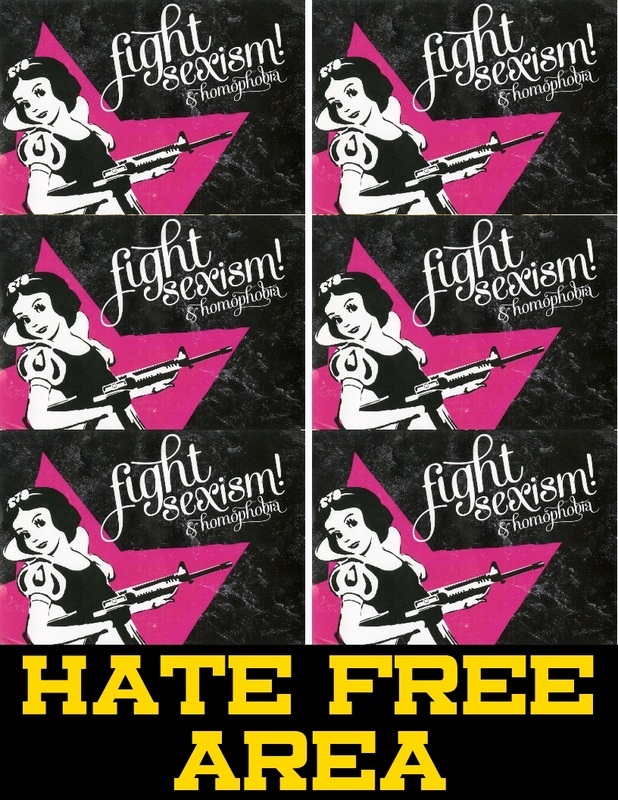 You can find a guide to creating your own stickers here, and a trusty wheat paste recipe here. 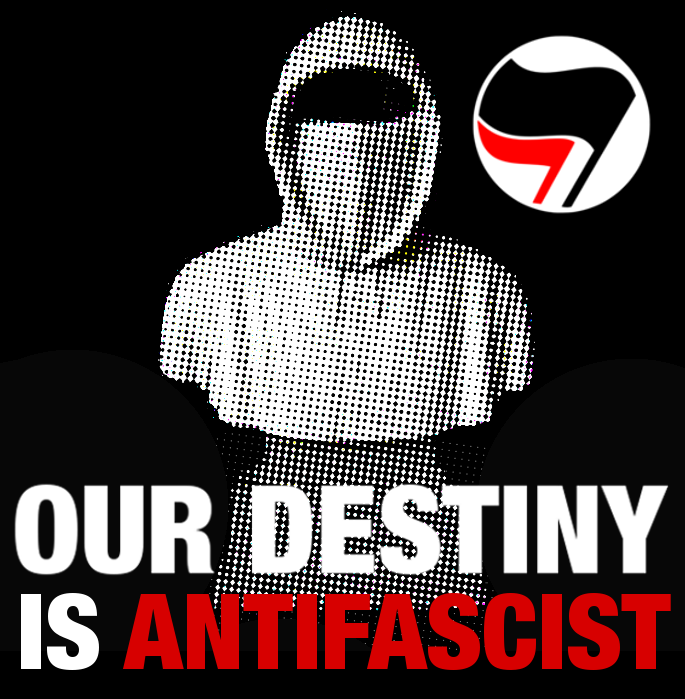 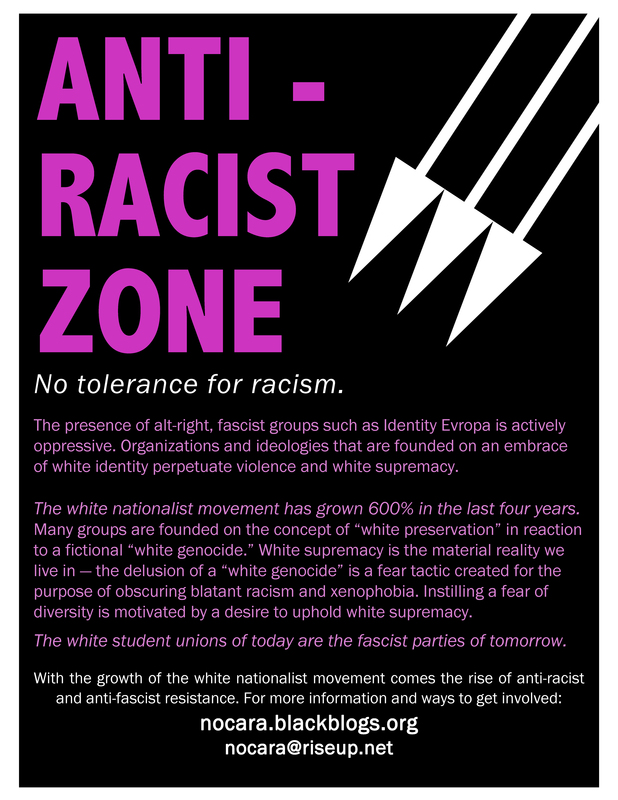 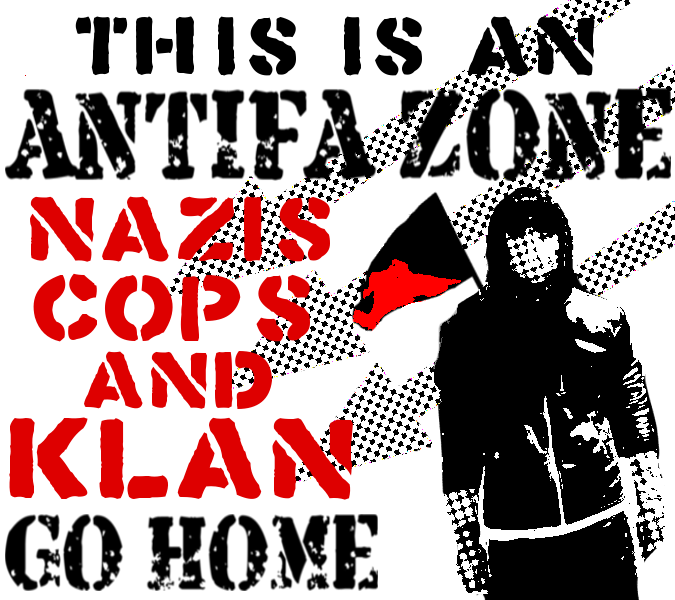 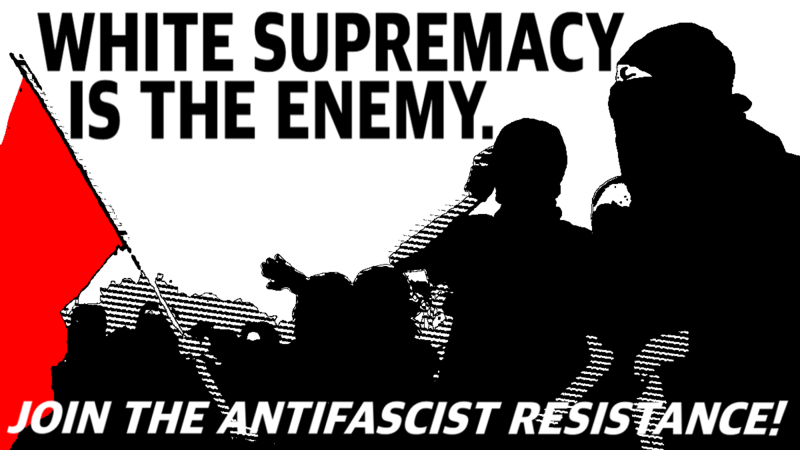 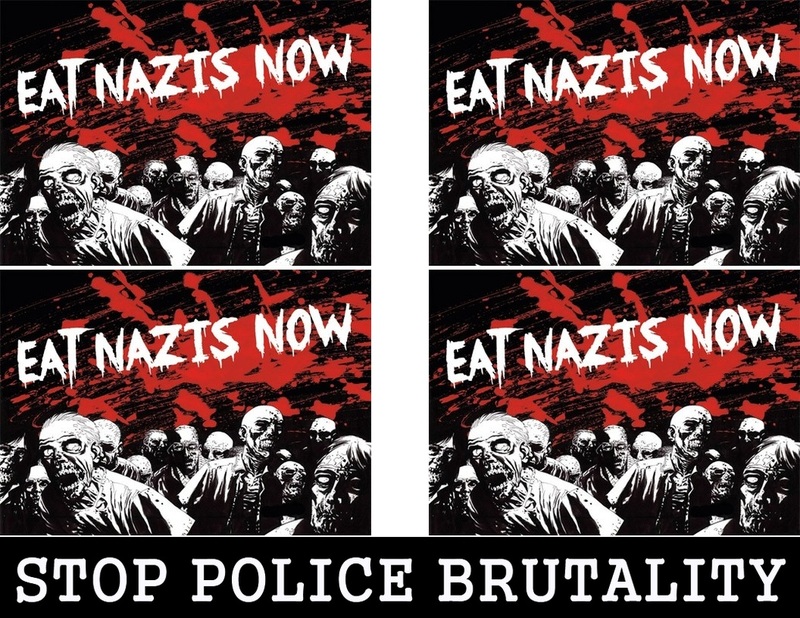 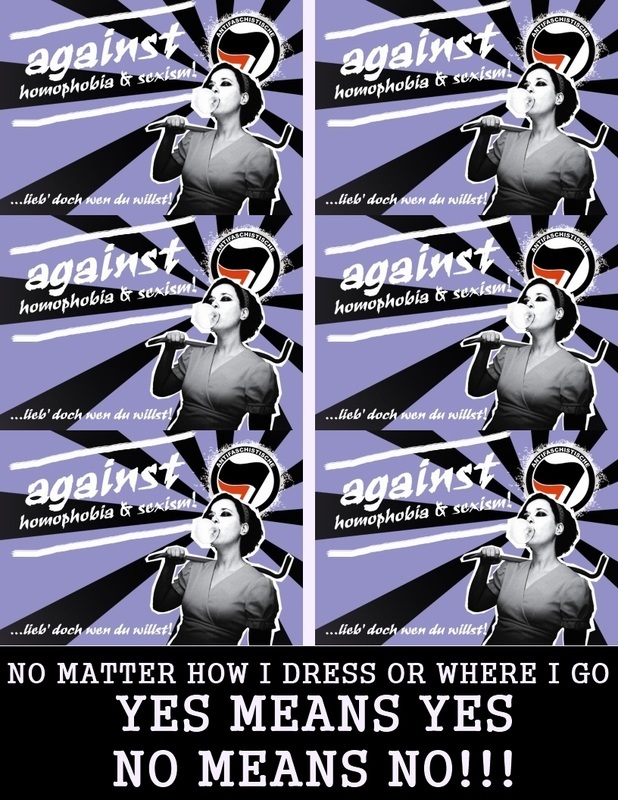 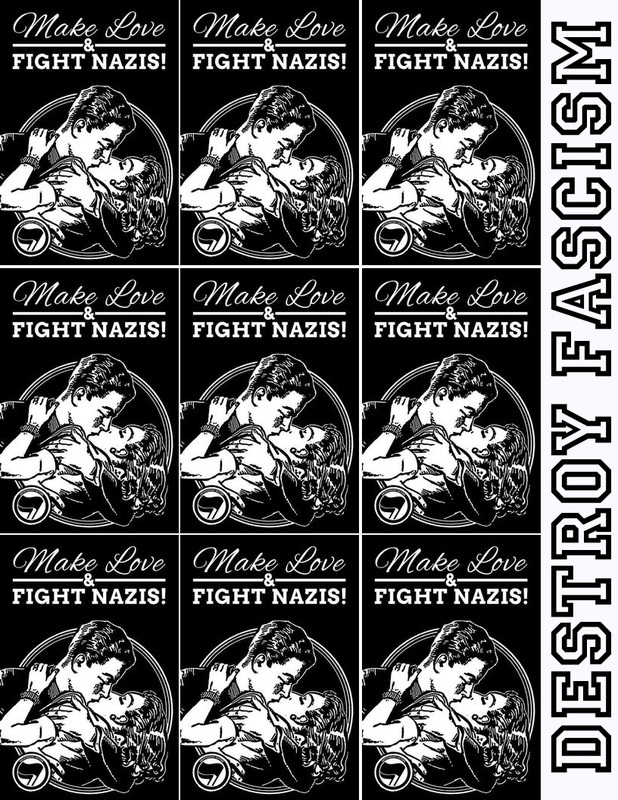 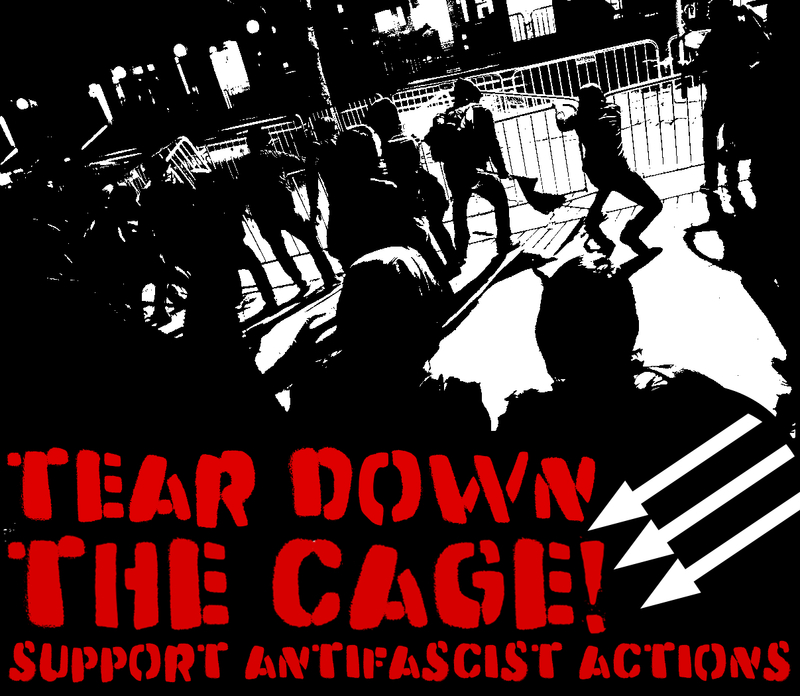 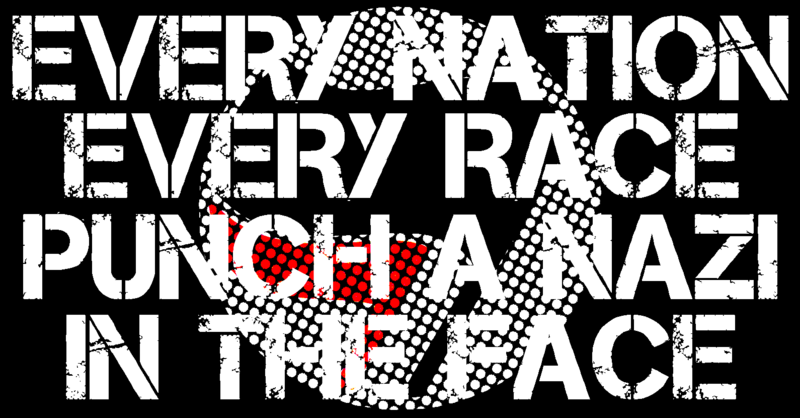 If you’d like, you can send us photos of anti-fascist stickers and posters that have gone up! 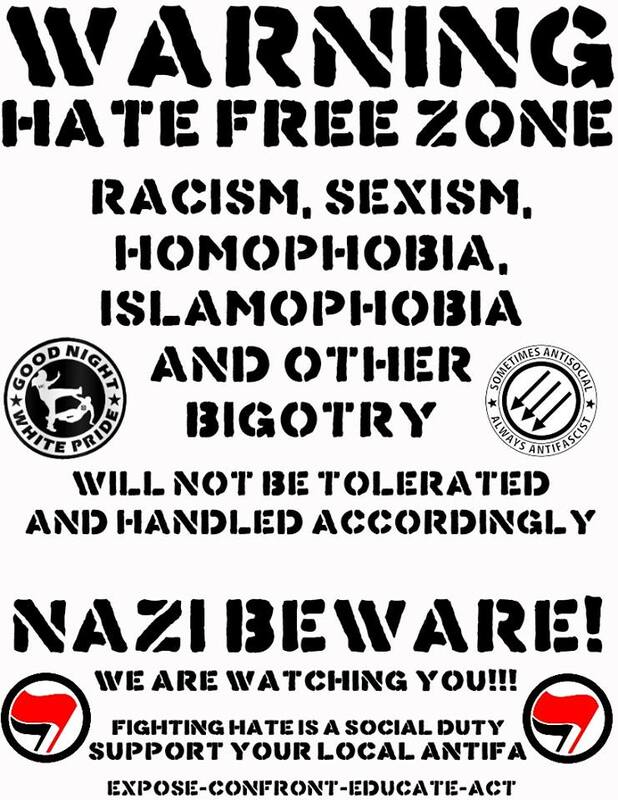 Make sure to practice good security culture- don’t take credit for illegal actions in person or online. 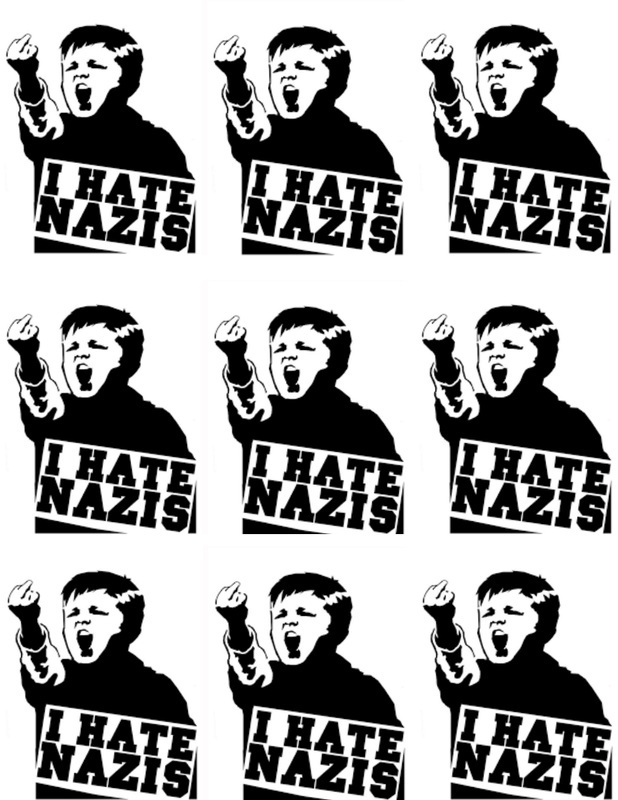 You can scrub metadata from photos here.